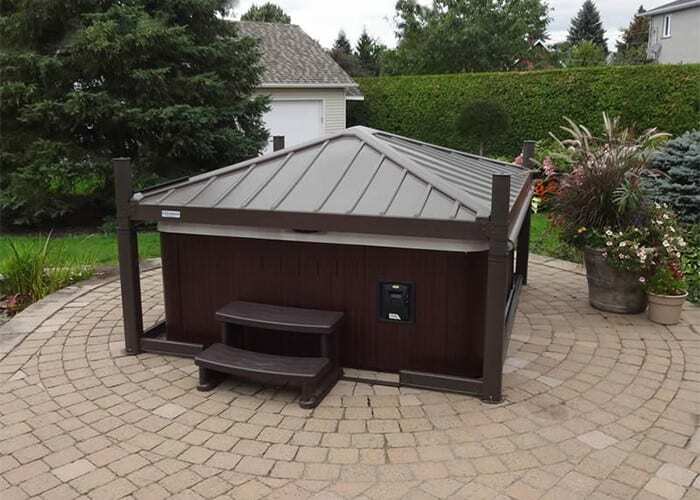 Covana systems are more than just a cover for your hot tub or swim spa, they are also completely automated gazebos which offer you maximum comfort, safety and intimacy. Is the Covana Right For You? Wish your cover would be automated? Is spa safety a concern for you? The Covana securely lock into place either elevated or closed. 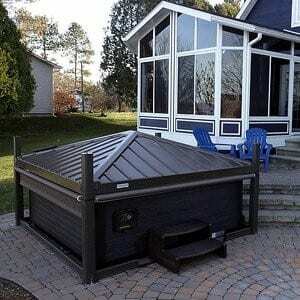 It allows you to have control of who uses the spa, keeping unwanted visitors away. Does the cover weight limit soaking? 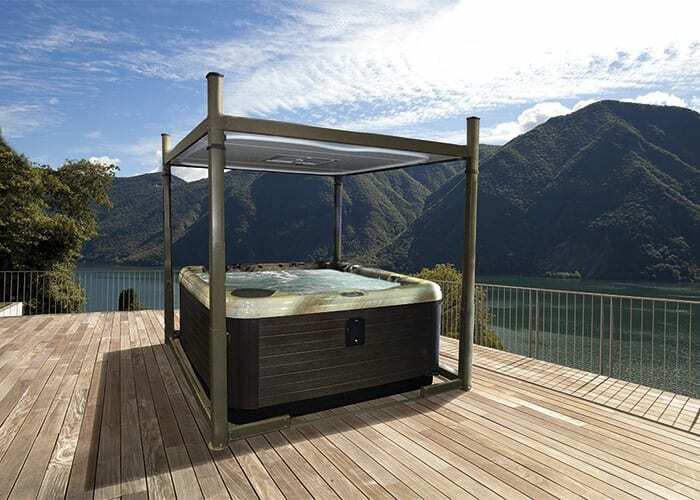 The Covana makes it easier for you to enjoy your spa more, in both mild and adverse weather conditions, giving you the added benefits of hydrotherapy. 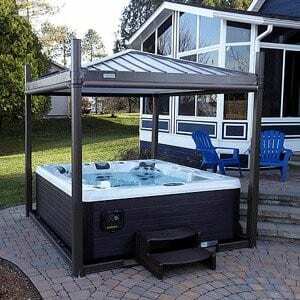 The Covana III hot tub gazebo is your spa cover. 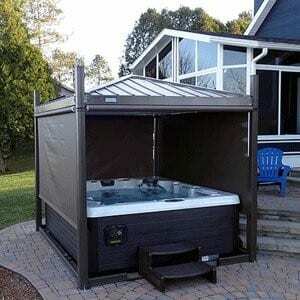 It is an automated all-in-one spa enclosure that rises above your spa and lowers again at the turn of a key. 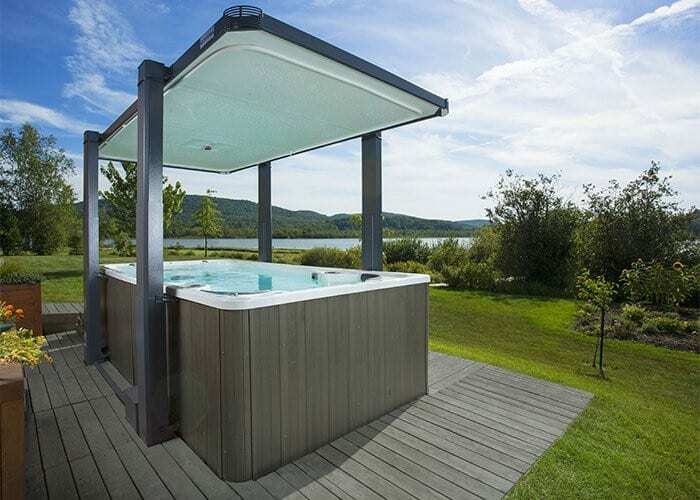 Covana covers are available for both hot tubs and swim spas. 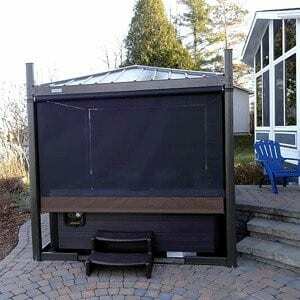 There are a variety of styles to provide the best in comfort, safety, and privacy.